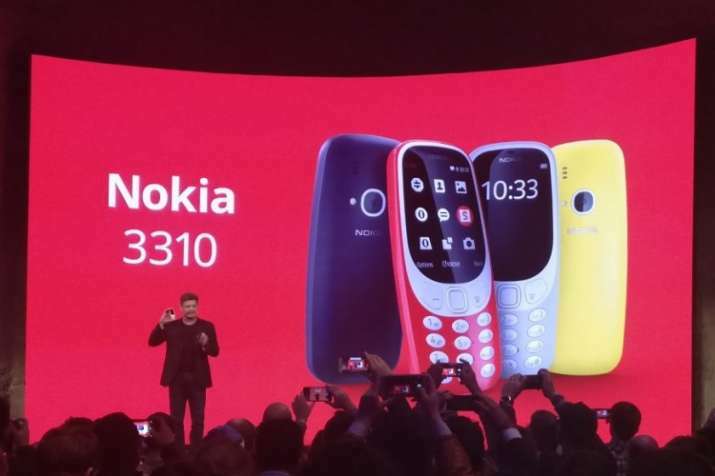 The most-anticipated mobile phone Nokia 3310 has been finally launched by the Finnish multinational communications HMD Global at the Mobile World Congress (MWC) 2017 in Barcelona in Spain. The phone has now made a comeback rather in a sporty and refreshing way. The company has also given upgraded iconic ‘snake’ game in the new phone. With its new lively colours but still the same ‘featured phone’ look, Nokia 3310 boasts of a 22 hour talktime and a month long stand-by. The phone will be available in four different hues - Warm Red and Yellow, both with a gloss finish, and Dark Blue and Grey both with a matte finish. The new Nokia 3310 additionally incorporates the regular Micro-USB port and ditches the pin charger. The Nokia 3310 sports a 2-megapixel rear camera with LED flash. It features a 2.4-inch QVGA display. 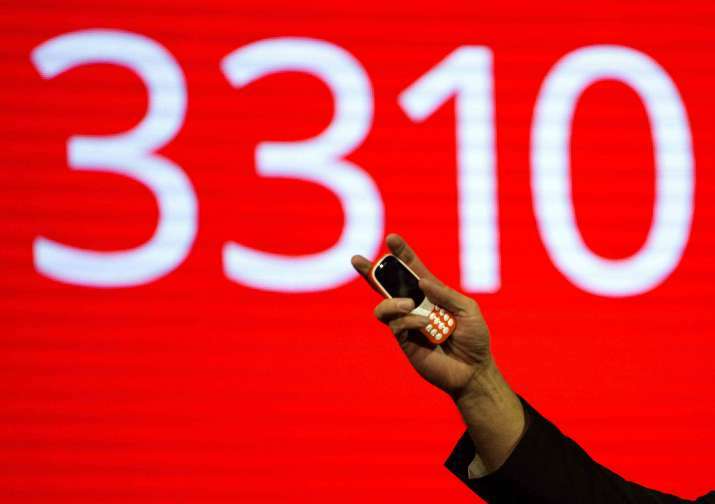 The handset comes with 2G connectivity and runs on Nokia Series 30+ OS. It comes with 16MB storage and supports expandable storage via microSD card (up to 32GB). It packs a removable 1200mAh battery. Nokia 3310 was originally released in 2000 and is still remembered for its long battery life and nearly indestructible body. If you missed the beginning of the modern age of mobiles and did not get to hold the phone, fret not as it will now be available in the market after the launch. Nokia was once considered a pioneer in mobile technology but failed to keep up with the smartphone era. Born in the year 2000, it had a dark blue body, emitted a deep green light from its tiny screen, and housed a charming game called "Snake". And an entire generation grew up loving the iconic Nokia 3310. 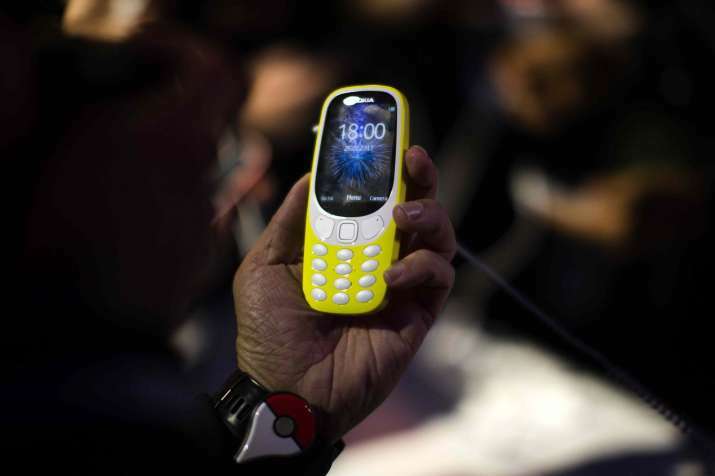 Then came the Nokia 1100 in 2003 -- a sturdy affair with an inbuilt torch -- which quickly became the best-selling consumer electronics device of its time. 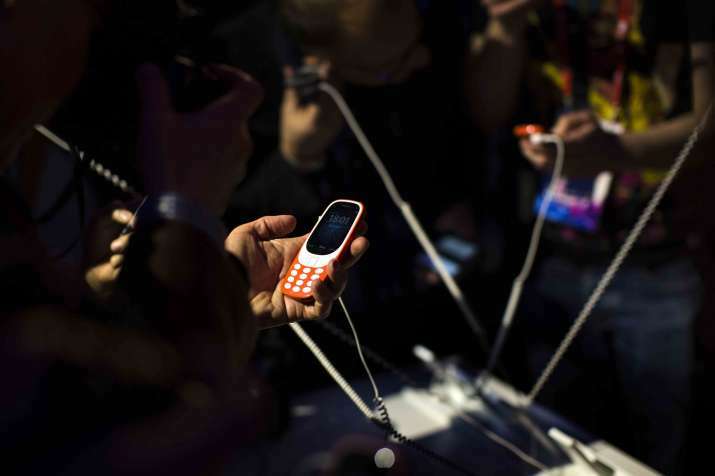 It was the Golden Age of Nokia -- with hardly a competitor in sight. Inevitably, though, the age passed, and Nokia devices, with their "indestructible" bodies and long-lasting batteries, disappeared after ruling the Indian market for several years. But they left behind two key legacies: a brand with great recall value, and a wide and surviving sales network. HMD has reached agreements with both Microsoft and Nokia for the use of the Nokia brand and some design rights. HMD is planning to spend some 400 million euros to market the Nokia brand for the next three years. When it comes to smartphones, people would expect the same reliability from Nokia as they did with their feature phones.